The Glass Wives ARC Winner Announced!!! You are here: Home / Uncategorized / The Glass Wives ARC Winner Announced!!! Thank you so much! Over 200 people signed up for my Infrequent Yet Delightful Newsletter and with the tweeting and sharing that equalled over 250 entries. I used random.org to choose the winner. Congratulations, Julia! I will email you this morning to get your address and I’ll get this book baby in the mail to you! Julia is someone I know from the Women’s Fiction Writers and on Twitter and I looked twice (okay, three times) when I saw her name! I mean, we even bantered about the likelihood of someone winning when spreading the news of the giveaway meant lessening one’s chances, but she was kind enough to do it anyway. How’s that for Twitter karma? 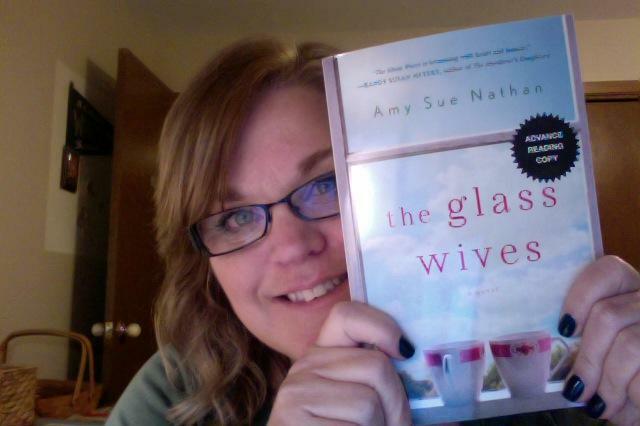 There will be more opportunities to win copies of THE GLASS WIVES here and elsewhere. I’ll always keep you posted! Thank you again for you amazing enthusiasm and unwavering support. It steadies me, folks. Truly, it does. « Writing 20 minutes a day, 365 Days A Year. Are You In? SO jealous of Julia (but so happy for her, too, to get a sneak preview before the rest of us can). Congrats, Julie – and Amy Sue, for your dream coming to life! This literally made my day, Amy!! Definitely Twitter karma! I can’t wait to read your book! Thanks and I’m sure I’ll love it!